Once upon a time you were a budding entrepreneur, building your own firm. You’d leap at every ring of the phone, eagerly hoping the call brought you more work. You’d happily visit with clients, daring to dream that they would refer their friends and associates. You might not have felt a pressing need to outsource accounting when your firm was more famine than feast. Fast forward a few years. You’ve built up your firm into a thriving enterprise. Your firm is in fact so busy that you actually cringe when the phone rings because if you take on more work you’re either going to lose quality control or you’re going to lose quality time with your family and friends. As far as problems go having too much work isn’t the worst thing that can happen to you. Still, you don’t like what you’ve become – someone who tries to get off the phone with clients as quickly as possible because you have too much to do. Outsource accounting and take control of your workload. Get back to the type of accountant you always wanted to be. Here’s the happiest scenario – as the big boss you avoid all of the tax, compliance, and bookkeeping work, leaving you free to A) do only the top-billed projects, B) face-to-face with your clients, and C) guide your firm. That means you need to get out from under the workload of a busy firm. But what happens if you feel you’re on a precipice and you’re unsure if you can afford to bring in new hires to carry the compliance workload for you? Will all that money and time invested in hiring someone in-house pay off or will it prove to be the wrong time for such an investment, causing your firm (and your clients) to suffer? But if you don’t invest you’ve become that kind of accountant who doesn’t listen to their clients which may very well cause them some serious financial harm, or at least cause you to miss some opportunities that could have helped your clients prosper. In order to be a proper business consultant for your clients you’re going to have to get your own house in order. Outsource accounting and you can do just that at a fraction of the cost and risk associated with hiring in-house. You’re the boss, you get first pick. So which kinds of work or clients make you the happiest? Write down a goal – you’re only going to be hands-on for X-types of clients by the end of the year. Mark it on your calendar. Keep an account of all the work you’re doing. The stuff that you don’t want to be working on directly is going to be taken care of when you outsource accounting services. Now write down sub-goals divided through the rest of the year, noting which types of files you don’t want to handle yourself anymore. For example, a month from now write down that you no longer want to have to do any of the direct work of payroll, if payroll is the type or work you least like to do. 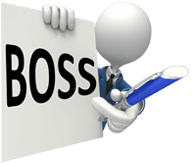 It’s time to contact us here at BOSS. When you outsource accounting services with us you’re able to shift pretty much anything and everything to your overseas team – here is our FAQ laying out all the different types of work we’ll be helping you with. Depending on the volume of work you hand over, you may also want to delegate someone in-house as your liaison to your overseas team. It will be their job to collate all of the clients’ information before sending it to your overseas team. You won’t have to try to swat away phone calls any longer. Now you’ll have the chance to spend time with your clients, upselling, pitching projects, getting involved with their businesses on a level you simply could not have managed during your overworked years.